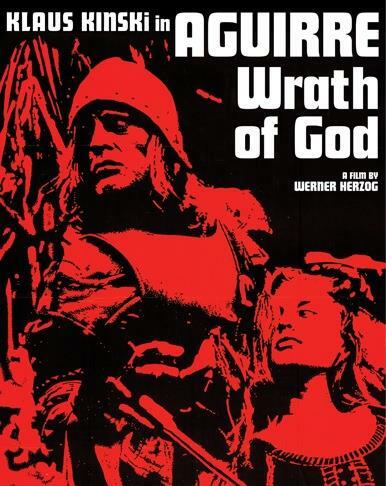 For the first time on Blu-ray, this early masterpiece from legendary German director Werner Herzog (Fitzcarraldo, Grizzly Man, Cave of Forgotten Dreams and Nosferatu, the Vampyre) is available in a newly restored version. Shot entirely on location in the wild Amazonian jungle, Aguirre stars the volatile German star, and Herzog regular, Klaus Kinski as a power-crazed explorer in sixteenth-century South America who leads a band of conquistadors through the Amazon in search of El Dorado. An ambitious exploration of doomed adventure and savage beauty, Aguirre remains one of Herzog’s most extraordinary and brilliant achievements. This specially designed, limited edition SteelBook™ is released ahead of an extensive Werner Herzog box set from the BFI, which will include newly re-mastered HD presentations of 18 of his greatest feature films and shorts.